I know Eliana will be a good big sister and all I can do is involve her as much as possible so she doesn't feel left out. 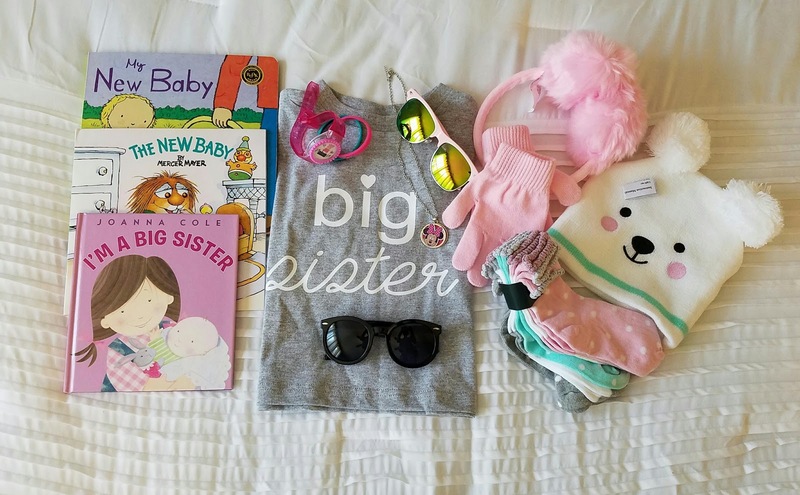 So when baby comes, he/she will come with gifts for big sister which she is already looking forward to. She got a couple of early deliveries from baby already so she is excited to get the rest of her gifts when baby arrives. I originally wasn't planning on packing a gift bag for big sister but after the baby shower I knew I had to. While opening the gifts for baby, Eliana was there and as we opened each gift bag or box she asked if it was for her. Since her birthday just passed not too long after the shower and she received her birthday gifts, she now understands the concept of gifts; and since my birthday, she now understands the concept of surprise gift. Thankfully in all the gifts we received during the shower, a co-worker of mine was nice and thoughtful enough to get Eliana a gift as well. When we finally got to open her gift, she was beyond excited and said “I want more”...bahaha. Seeing her reaction to being somewhat included in all the 'it's for baby' remarks. 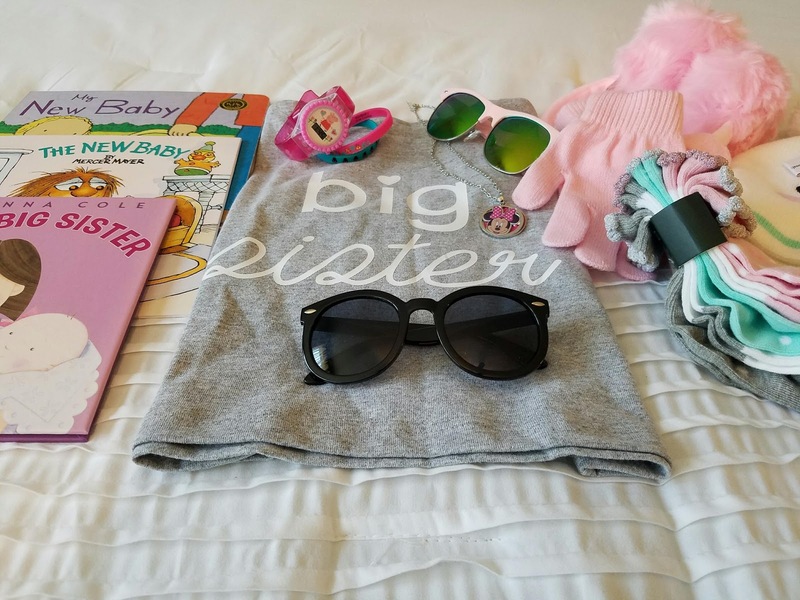 I decided it will be nice to pack her a little gift bag to present to her from her baby brother or sister when he/she arrives. She received some of these already as we prepare her for her duties as a big sister. 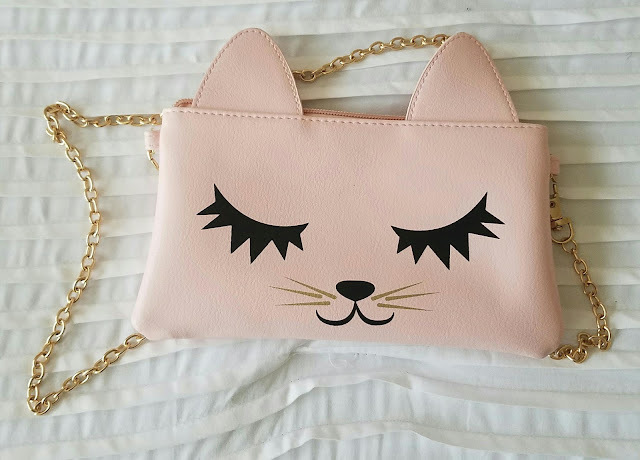 Here are some the things I'm including in her gift bag. Big sister shirt. because every big sister needs one. An everyday wear necklace. She's always ask for one when I’m putting my on. She has a pearl set that I only let her wear on outings. Yes, she is a girly girl. She loves to paint her nails and pink is her favorite color. New sunglasses. She loves her glasses but as you can image they don’t last long. I found these ones at Walmart on sale and decided to get her two new pairs. A couple of books on being a big sister. Early deliveries. A wrist watch, same idea as the necklace. She pretty much wants her own version of everything I have so this is something else she’s been asking for. Since we’ve being declared the Peppa Pig family by Eliana of course, this is more than idea. Chances are these pieces won’t last too long before they get broken or misplaced so I went for very basis options that I won’t lose sleep over if she breaks or lose. A new handbag because She likes to put all her “stuff” in her bag, as much as she can fit in there. These include things like her toy phone, glasses, markers, scissor, school/church projects and other random stuff she thinks she needs for the day. The one she currently uses we got for her on our last visit to the Bahamas so I figured I'll get her a more fashionable one. And lastly, couple of cold weather necessities such as hats, gloves and ear muffs that will go perfectly well with her new winter Jacket. The thought was to get her basic things she can use everyday and things she need and wants while keeping the cost down and I think all these goodies check that box and will put a smile on her face. I’m pretty sure she’ll love Baby2 for bringing her all these gifts and I can not wait for them to meet.